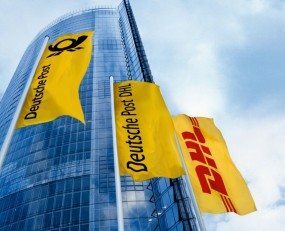 Deutsche Post DHL and the Chinese company S.F. Holding have agreed a partnership over contract logistics operations in China. In exchange for RMB5.5bn (approx €700m) and what DP-DHL describes as a “revenue-based partnership fee”, SF Holding will be “incorporated into S.F. Holding, and operate as a co-branded organization”. The deal seems to have a ten-year time horizon, suggesting that DHL Supply Chain’s business in China will return to the control and ownership of DP-DHL in 2028. A little surprisingly, the existing DHL management will remain in place, led by Yin Zou the current CEO, enabling SF Holding to access “best-in-class supply chain services, management expertise, transportation and warehousing technology”, something which must be valuable for SF. S.F Holding’s core business is its SF Express business and the company has ambitions to become a broader based logistics service provider. It already has China focused freight-forwarding and the large express business gives it a strong road freight operation. The addition of a contract logistics capability would represent a valuable advance in the sophistication of S.F.’s market abilities. S.F. Holdings reversed onto the Shenzhen stock exchange in January, raising the equivalent of several billion US dollars which it said would enable further expansion. Why Deutsche Post DHL has done this is less clear. China is potentially a huge market for contract logistics so why would the world’s largest contract logistics provider seek to dilute its exposure? A clue might come in DHL’s description of the deal as a “strategic partnership” which will enable DHL “to continue to participate in the fast-growing Chinese supply chain market, leveraging S.F. Holding’s extensive domestic infrastructure, distribution network and broad base of local customers”. This appears to suggest that DHL Supply Chain is finding it difficult to penetrate the Chinese market as rapidly and deeply as it would like. As is so often the case in China, it has proved necessary to recruit a Chinese partner to smooth the relations with new customers. Deutsche Post DHL is quick to point-out that the deal with SF Holdings has no implications for its Global Forwarding, eCommerce or Express activities in China. The deal with S.F. is clearly a move of some significance by Deutsche Post DHL, all the more so looking at Frank Appel’s comment that “the agreement provides a solid foundation to continue exploring further opportunities in China in the coming years”.